What Is The Best Way To Avoid Robbery? 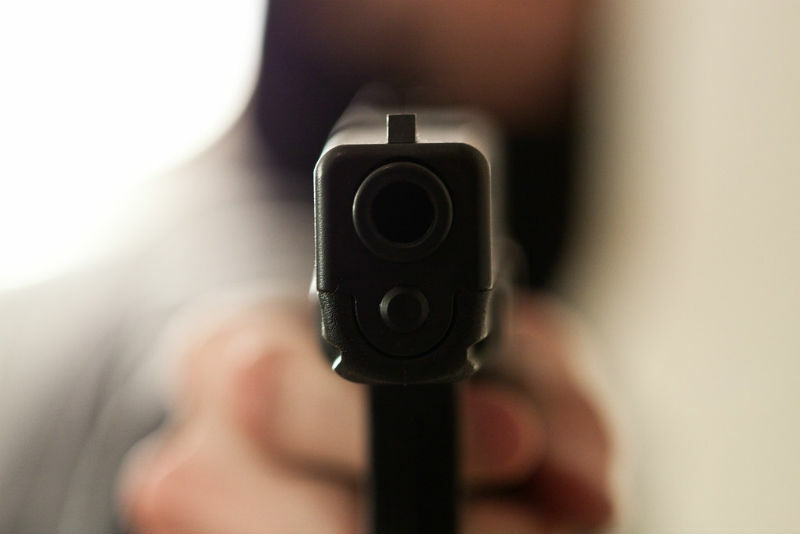 If the root of self-defense is preparation, whether it be training at a range or understanding how to diffuse conflict, then it’s important to understand violent crime before it occurs. Therefore, it’s useful to ask where it (in this case armed robbery) happens, the demographics behind it and how to meaningfully use that information as a form of self-defense. The FBI and various state agencies release uniform crime reports annually and include armed robbery statistics, which can be used to numerically visualize the prevalence and location of this type of violent crime. Within these reports, the data is presented in a few locations: streets/highways, commercial housing, gas or service stations, convenience stores, residences, banks, and miscellaneous locations. They act as markers for where this crime is happening. Is it the end-all compass to show where this crime is happening? No, it’s just a historical record. In 2015, the last available reported year for the time being, national robbery data from the FBI breaks down how much of the total reported cases of armed robbery are distributed in those locations. However, it’s important to take any data set with a grain of salt. That national average is a sum of all state numbers of robberies committed in 2015. There is also a representation of regional data for each of those locations. This is evidence that, while a national percentage distribution is a good indication of where the crime is happening, it fluctuates within different cities, states and regions. For example, in what the FBI deems “the South” of the U.S., 22 percent of that region’s robberies occur in residences as opposed to the Northeast’s 12.6 percent. 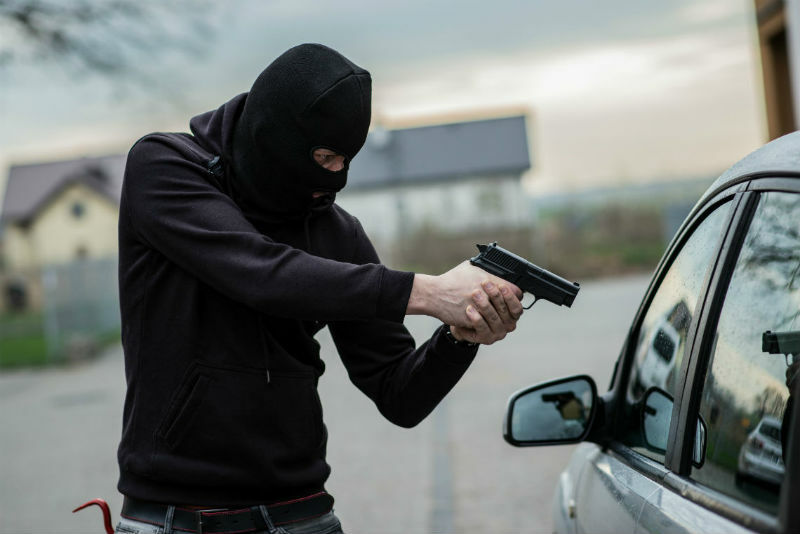 While 48.5 percent of the Northeast’s robberies are on streets/highways, only 35.1 percent of the south’s robberies occur in those locations. Another stark contrast is that in the West, 19.8 percent of robberies are in commercial housing compared to 8.4 percent in those same locations in the South. For the sake of clarity, “commercial housing” means commercial establishments like supermarkets, department stores, restaurants, taverns, finance companies, motels, and hotels. Another difference in where robberies occur is represented in city sizes. The FBI has six groups based on city population. Group I: 250,000+ (76 cities), Group II: 100,000-249,000 (198 cities), Group III: 50,000-99,999 (448 cities), Group IV: 25,000-49,999 (772 cities), Group V: 10,000-24,999 (1,663 cities), Group VI under 10,000 (7,249 cities), and there are county agencies that comprise the remainder of the reported crimes. In 2015, the percentage of street/highway robberies decreased as city size decreased — 48.2, 36.8, 35.5, 32.9, 26.9, 22, and 28.9, respectively across the previously given groups. 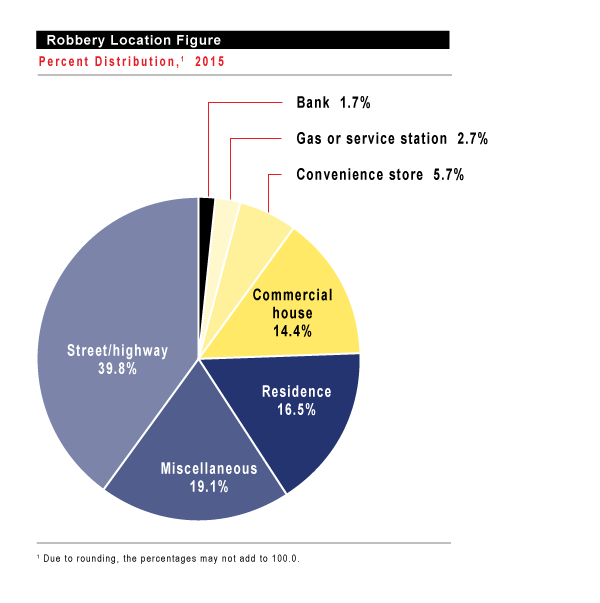 The percentage of convenience store and residential robberies, with minor fluctuation, generally increased as city size decreased, but only by a matter of about four percentage points. The number of robberies (again, from Group I to Group VI and ending in county agencies) in miscellaneous locations generally tended to increase as city size decreased (with county agencies being an outlier) — 16.5, 20, 22.5, 22.2, 23.8, 32.1, and 18.7, respectively. “Miscellaneous location” is defined as those locations not enumerated in the other categories, like robberies at waterways, houses of worship, union halls, schools, government buildings, subways, trains, airplanes, professional offices, and wooded areas. The reports are free to access, available to the public 24/7, updated annually and comprehensively analyze most types of crime. For the sake of precision, they are available on a state-by-state basis as well. The fact of the matter is robbery varies based on location and motive. What do armed robbery charges mean? There’s the obvious answer: legal repercussions for forcefully taking something that doesn’t belong to someone. But there’s more to it than that. There’s a difference in the type of robbery and who commits it. With 327,374 robberies nationwide in 2015 and $390 million in losses, firearms were only used in 40.8 percent of robberies, according to the FBI. About 7.9 percent of the remaining armed robberies were committed with knives and 9.1 percent with other weapons. The remaining robberies were done through strong-arm tactics — 42.2 percent. This is when property is taken by force or through threats, but without a weapon. Again, this varied by region. About 29.2 percent of Northeast U.S. robberies were committed with a firearm, compared to 51.4 percent of South U.S. robberies. There here have been, albeit international, reports on who commits robbery, so again take it with a grain of salt. That 2006 report profiles who commits armed robbery, but it comes from the Australian Institute of Criminology and cites Australian data. Not that it matters too much, but there are cultural differences throughout the world, which may affect who commits crimes. The Australian report ties the motivation of armed robbery to funding a particular lifestyle, often tied to illicit drugs. Those who committed armed robbery also graduated to that level of crime, many starting in nonviolent forms of theft like breaking and entering. However, while data sets show money for drugs being the motivation with the highest percentage among all respondents, there is another side of the equation. A 1986 report in the U.S. shows 11 percent of respondents to a survey turned to committing robbery to obtain money for food, shelter, and family. That number was reflected by 18 percent of Australian respondents in 1989, and 6 percent of UK respondents in 2000. The crime is inexcusable and horrifying, certainly, but that evidence shows a very human need that drives criminals to seek illicit income. Armed robbery can be tracked through historical data and can be tied to very specific locations. The crime, although unacceptable, is also partially driven by and stems from socioeconomic need. There are tonal differences in several regions throughout the U.S., with historic data that shows differences in where armed robbery is committed based on city size. 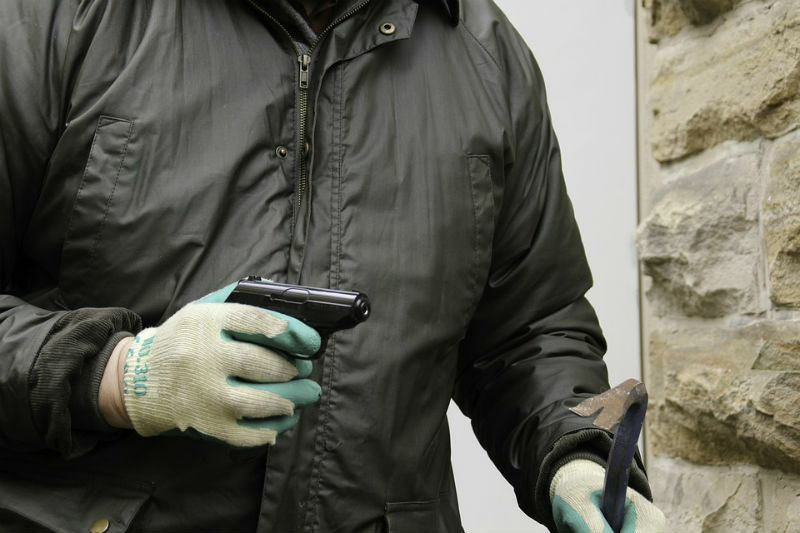 The majority of armed robbery is done with a firearm, but a similar amount is also driven by strong-arm tactics. The individual can see where in their state armed robbery occurs annually by tracking the data through state reports published by the FBI. They may also see what types of robbery are being committed and how much on average is being taken — about $1,190 on average per robbery in 2015 in the U.S. This information serves a poignant reminder about how personal research plays a role self-defense. Protecting family and friends can begin before stepping out the front door.